I went to Doshisha University in Kyoto, Japan to study Japanese law and politics. I currently go to UNCC to get a certificate in translation for Japanese. I am expected to graduate spring of 2018. I've been studying Japanese now for about 15 years. I am originally from Atlanta, Georgia. When I lived in Japan I studied martial arts: kendo and Iaido. 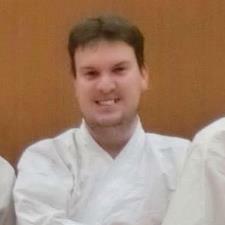 I have had experience teaching other people Japanese and Iaido and I loved the experience of teaching.